*participating locations may vary. Select restaurants participating from 7 am-10 pm. Visit your local IHOP restaurant for details. Brody Simoncini is a funny, active seven-year-old with a love of sports, particularly Boston sports teams. Nellie Mainor is a sassy, sweet eight-year-old with seven older siblings and a love for singing, particularly with her family. Coleman Giles is a thoughtful and caring 15-year-old who loves skateboarding, playing with his dog and doing anything related to computers. 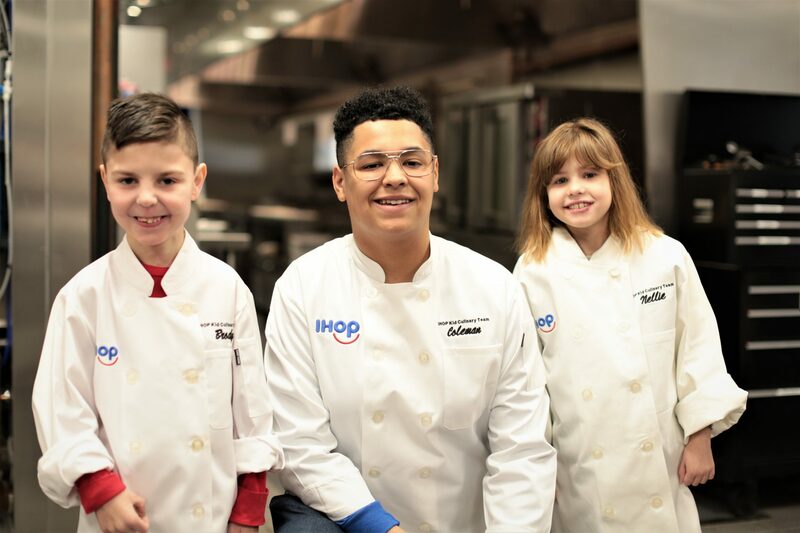 Visit a participating IHOP location on Tuesday, March 12th, from 7AM-7PM and enjoy a FREE short stack of pancakes and donate to help kids treated at Children's Miracle Network Hospitals. Invite your friends and family to join you and share that you’re supporting your local children’s hospital on social media. Earn yourself a virtual stack of pancakes. IHOP partners with Children's Miracle Network Hospitals for IHOP Free Pancake Day each year. Tuesday, March 12, 2019 is IHOP Free Pancake Day with the goal of raising $4 million. IHOP has raised more than $22 million for Children’s Miracle Network Hospitals so far. Beginning January 29 through IHOP Free Pancake Day on March 12, participating IHOP locations will also sell Miracle Balloons for $1 and $5 each to benefit member Children’s Miracle Network Hospitals. All icon proceeds will help provide life-saving care, equipment and therapy programs across North America. Customers who purchase a $5 Miracle Balloon will receive a $5 discount off of a $10 purchase that can be used during their next dining visit. For over 59 years, the IHOP family restaurant chain has served its world famous pancakes and a wide variety of beloved breakfast, lunch and dinner items. IHOP offers its guests an affordable, everyday dining experience with warm and friendly service.